Complete this form for each journey undertaken using a hire vehicle within the UK. If you are driving outside the UK you must contact the Insurance Office to make sure you have appropriate cover. Note: Motor insurance for hired vehicles is for vehicles hired within the UK. Insurance coverage is not provided for vehicles hired outside of the UK. 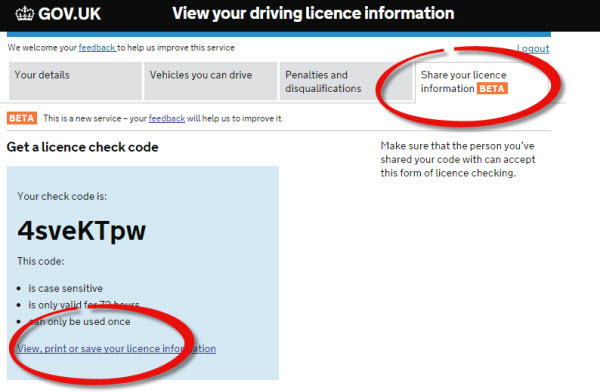 A full driving licence must have been held for a minimum of 24 months and an up to date copy of the 'paper' licence must be lodged with your department administrator. From 8th June, the paper copy has been replaced by an online version that only you have access to. Please use the link below to access your own licence and create a pdf version for the departmental administrator. If you have pool cars, your own car or vehicles borrowed from another University Department, this form is not for you. If you require further information, please select one of the options below or email the Insurance Office, Chris Benson ( c.benson@bangor.ac.uk ) or phone Extension 2199.